Few food items evoke more passionate feelings for us Berliners than the Schnitzel. 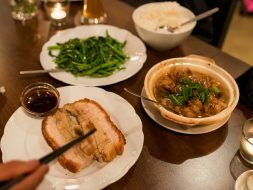 Old and young alike, we all just love the breaded meat dish and in my search for the very best Schnitzel in Berlin, it’s about time for a list of the truly greatest Schnitzel restaurants in the city. 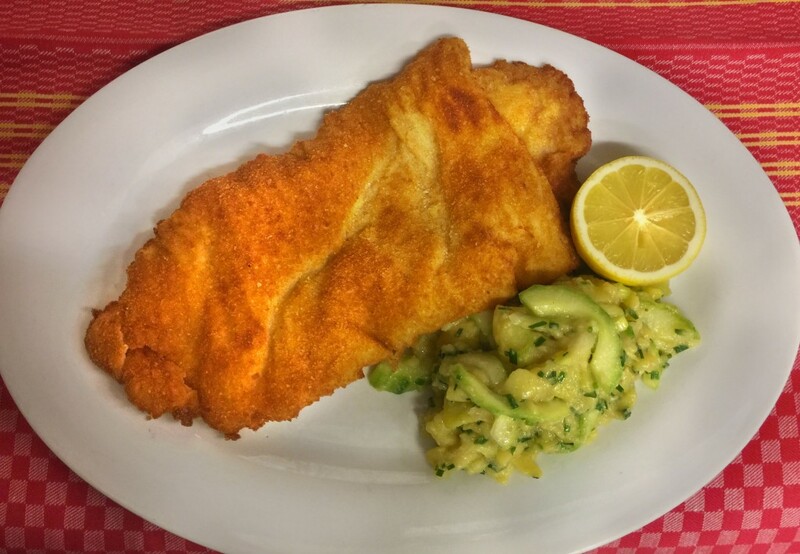 Although the Schnitzel is a dish that can be found on pretty much every German restaurant menu, the true Schnitzel-aficionado knows that there are universes between a standard Schnitzel and one that’s prepared and cooked by an expert. 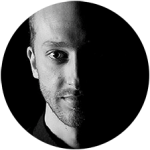 They also know that Austrian chefs tend to be the best Schnitzel cooks, and that’s of course because the Schnitzel in fact isn’t a German dish but a direct import from our neighbours in Austria, like so many other foods from German cuisine. 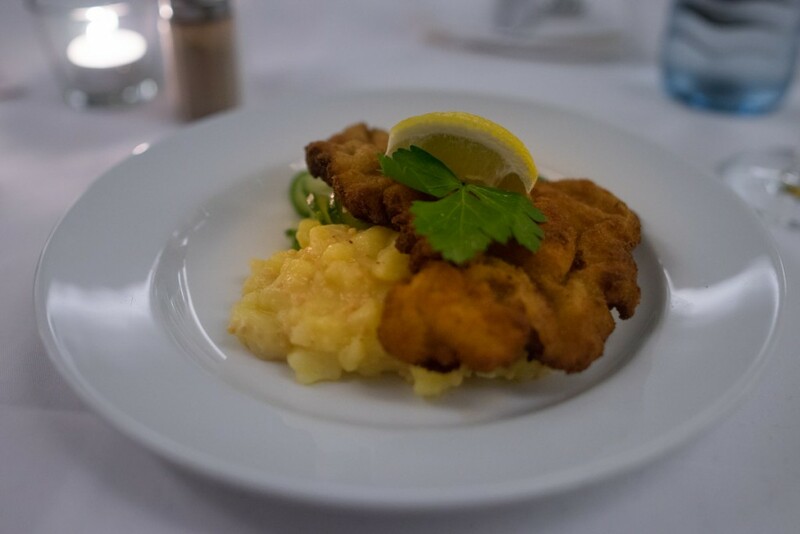 The high-end version of the Schnitzel is therefore of course the “Wiener Schnitzel” and it’s made from veal escalope that’s been hammered to a thickness of about 4 mm and then turned in flour, eggs and breadcrumbs before being deep fried in oil, butter or schmalz. 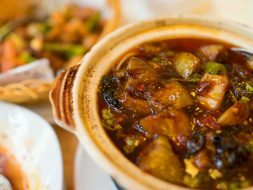 In a nation of pork devotees such as Germany however, the pork version is far more common today than the veal one and even chicken makes an appearance here and there. 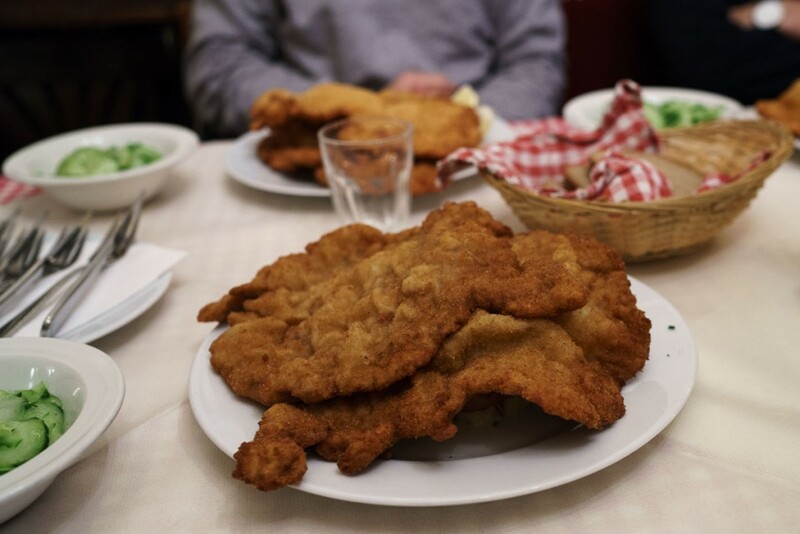 There are an abundance of restaurants serving Schnitzel in Berlin and it would be an impossible undertaking to sample all of them. 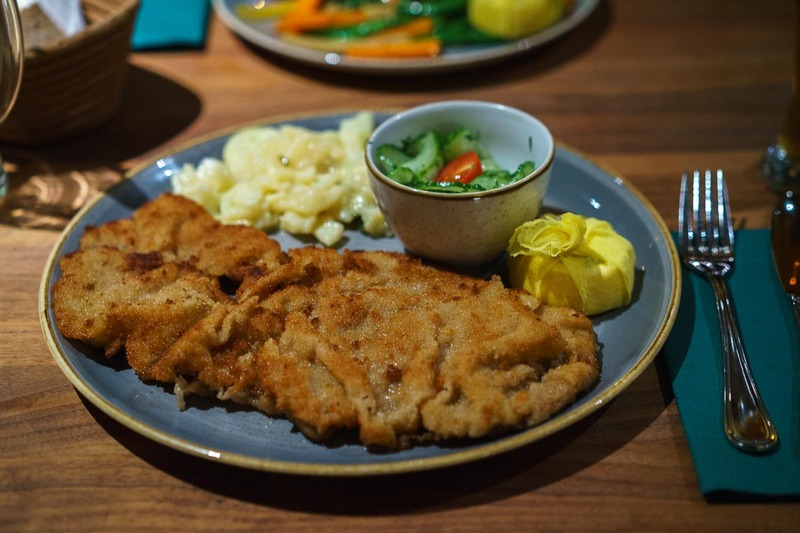 I have however done my fair share of Schnitzel-eating in the last years and although some interesting places might be missing, I can confidently say that the eleven Schnitzels on this list stand out from the competition. As with many cult foods, I have found that taste is very subjective when it comes to the Schnitzel. 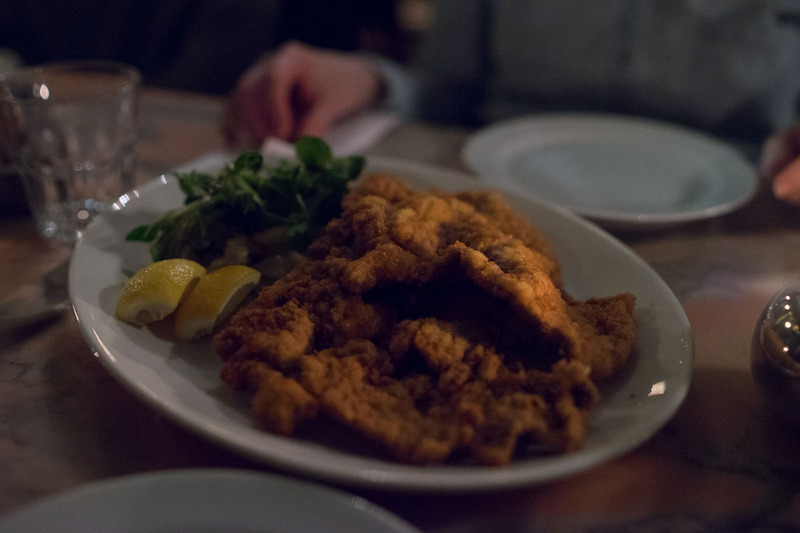 Some like their Schnitzel fried to annihilation so it resembles a crispy cracker, others like it thick and juicy and the question of butter versus oil for the frying process divides even chefs. My personal preference is simple; a great Schnitzel is thin but still moist with a crispy and dry batter that’s been fried in clarified butter or an oil/butter mixture, with batter ratio which equals the meat, even when you start cutting into it. Squeeze some freshly cut lemon on to it and eat it, sides are traditionally potato salad but I can also enjoy some fried potatoes. That’s it. 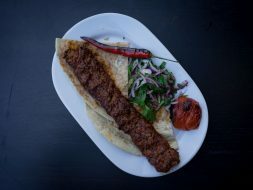 This sensationally cool Imbiss 204 in Prenzlauer Berg is an all-time favourite of mine and aside from serving the best Bouletten in Berlin, the two chefs also whip up a pretty mean Wiener Schnitzel. 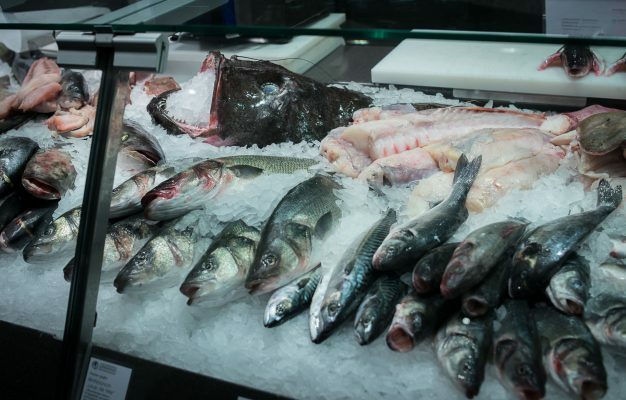 A testimony to this outstanding eatery where German food is done right. The Wiener Schnitzel costs 15,50€ for a large portion and 10,90€ for a small. 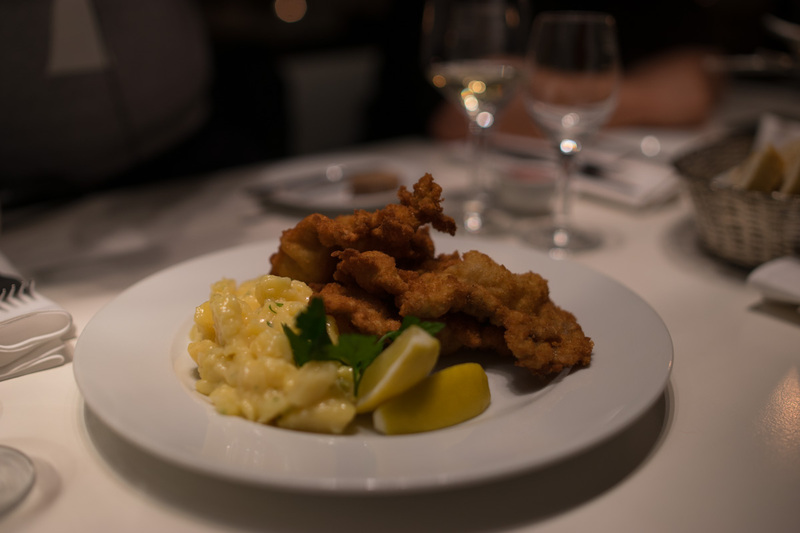 Schnitzelei Mitte is the newest kid on this Schnitzel list and with a restaurant name dedicated to the Schnitzel you would except true greatness to arrive on your plate. This is only partially true, because while this is definitely a great Schnitzel with high-quality meat and batter, the meat sometimes comes out uneven and the batter doesn’t stick to the meat well enough. The Wiener Schnitzel costs 18,50€. Tucked away in a quiet corner of Northern Mitte, Alpenstück has been a trailblazer for higher-end Southern German and Austrian cuisine for over a decade. 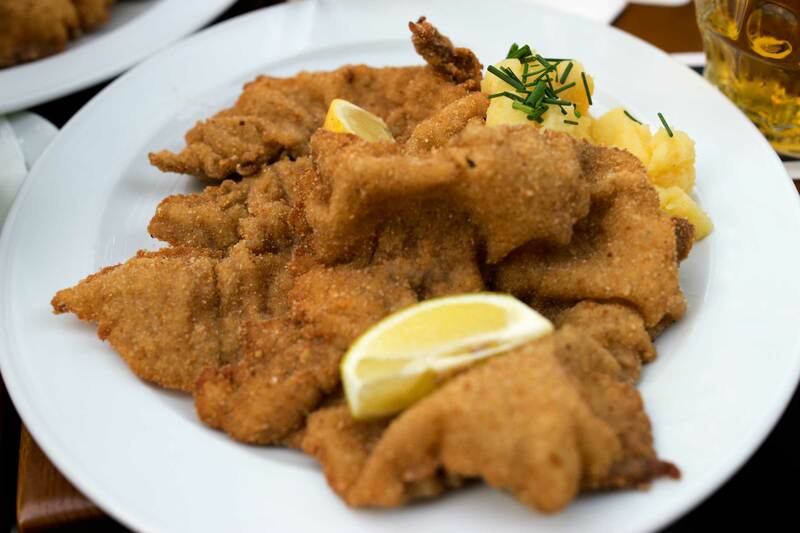 The quality of the veal used for the Wiener Schnitzel, might be the best on the whole list, the execution however just isn’t as sharp as the other places with the meat being just too thick and the breading not crispy enough. The frying in pure butter however, gives this Schnitzel an insane buttery flavour. 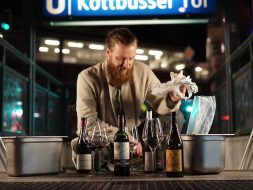 Berlin’s oldest Biergarten on Kastanienallee has been attracting people to drink beer and watch theatre since the 1850’s but many people still don’t realise that the restaurant here is open all year around. Their status as a Berlin institution means they’ve had plenty of time to perfect their Wiener Schnitzel and it shows. 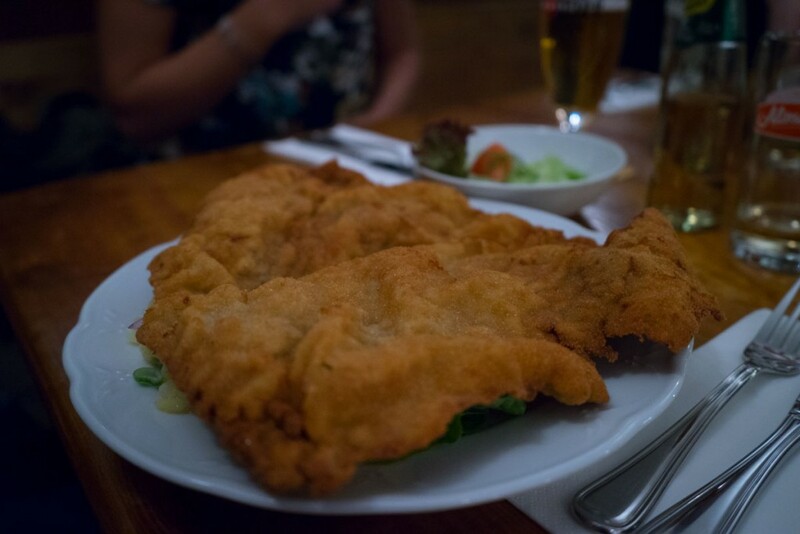 The Schnitzel here consists of two massive, battered pieces of veal, cooked perfectly with a thin batter. 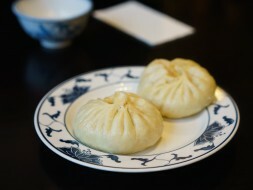 Although the quality isn’t as good as elsewhere, the setting and the flavours more than make up for it. This old-school celebrity hangout is home to Berlin’s most famous Schnitzel. 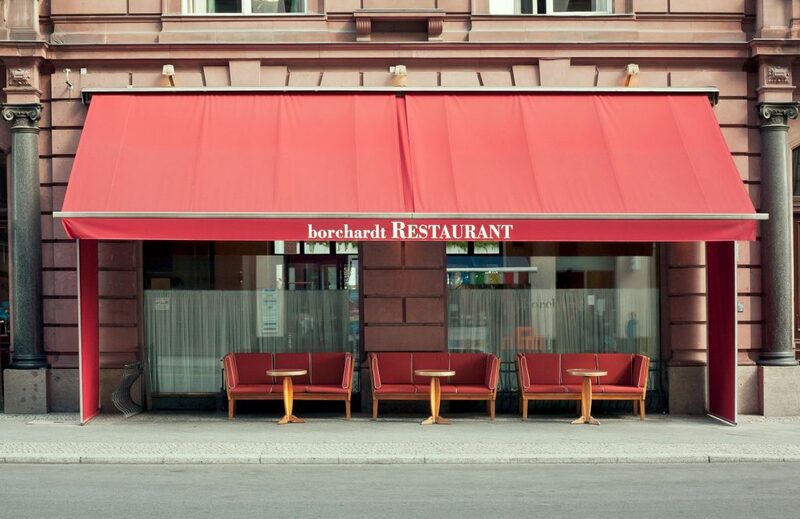 Although the Borchardt’s Wiener Schnitzel (just like its audience) has definitely has seen better days, it still remains a great Schnitzel and if you’re into to people-watching as well as waiters with white shirts and black vests then this is the Schnitzel for you. 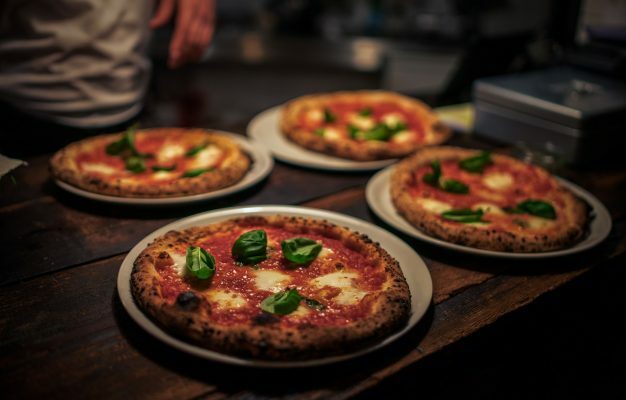 Engelbecken is a well-hidden secret outside its West Berlin range of regulars, but if you venture out West and visit this establishment right next to Lietzensee you can dine sensationally well from their Austrian and Bavarian-focused menu with a couple of modern twists. The Wiener Schnitzel is one of the best you can get in this part of Berlin. The Wiener Schnitzel costs 22,00€ for a large portion and 16,00€ for a small. 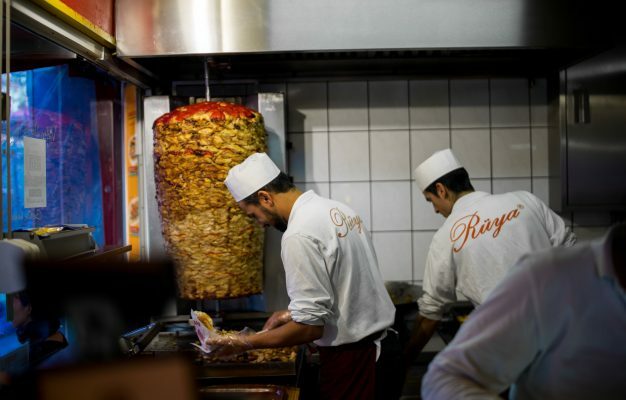 The original Einstein, an institution which today has nothing in common with the mediocre coffee chain in Berlin, was secretly taken over by the Grill Royal group a year ago with the ambition to restore the restaurant to former fame and glory. This has been a rather successful undertaking and when it comes to the Schnitzel they have dome a mighty fine job: The Wiener Schnitzel at Einstein breathes quality from the first to the last bite and if the crust stuck slightly better to the meat it would rank even higher. The Wiener Schnitzel costs 24,00€ for a large portion and 18,00€ for a small. This Kreuzberg institution for sensational Austrian cuisine literally put wheels on their Schnitzel when they started selling their prized dish in a sandwich at Street Food Markets across Berlin. For a load of the real deal I highly recommend a visit to their sensationally cosy restaurant in Wrangelkiez, where the Schnitzel is deep fried to a level that it will make all lovers of the extra crispy Schnitzel go nuts. The low-key Austrian eatery that’s tucked away in the quiet Bötzowkiez in Eastern Prenzlauer Berg has been one my favourite destinations for Austrian food for years and their Schnitzel is absolutely spectacular. Order the full Wiener Schnitzel and you shall receive two meat slices that leave no trace what so ever of the plate beneath it. Add a crispy crust and a juicy slice of veal and you’re all set for a very good Schnitzel. P.S. The Kaiserschmarrn at Alt Wien is also sensational. 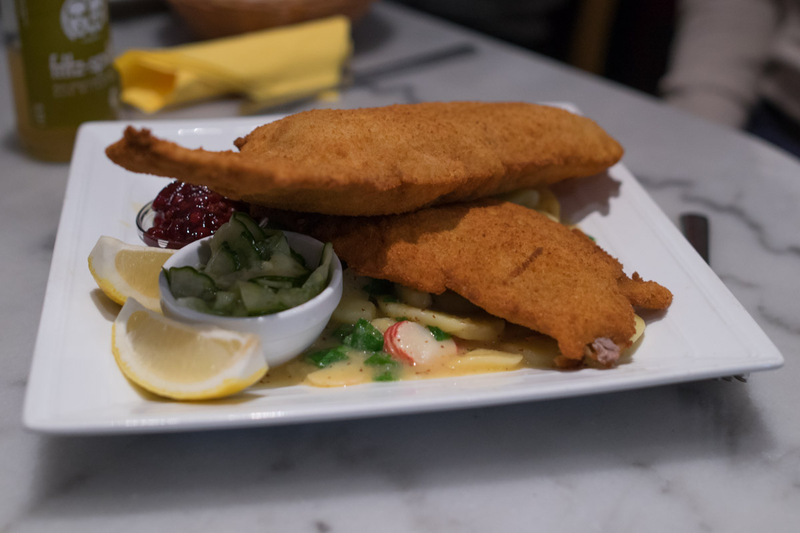 This Austrian restaurant and delicatessen in the heart of the Bergmannkiez is a Kreuzberg institution and the Schnitzel is one of the best I’ve ever sunk my teeth into. 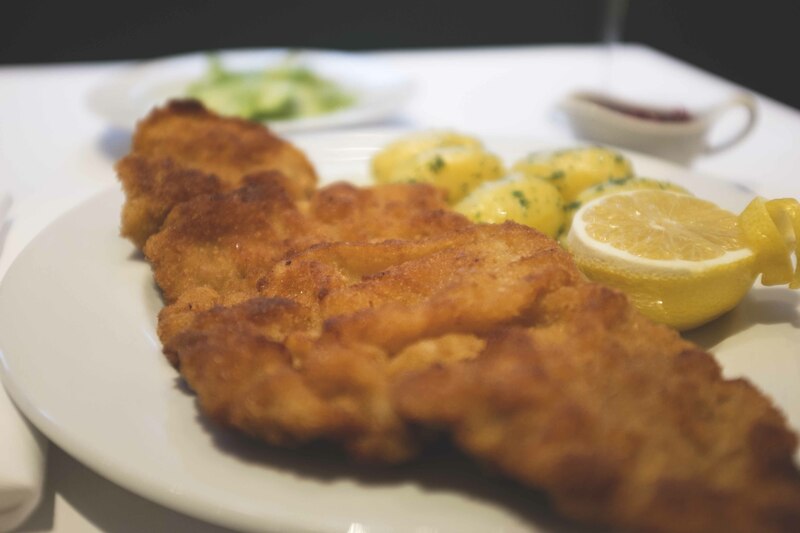 The Wiener Schnitzel at Felix Austria is a two-piece beast stretching across all of your plate and the perfect breading, in combination with a perfect, evenly-cooked piece of meat makes this Schnitzel a true pleasure to consume from the first to the last bite. Pure Schnitzel love. The Wiener Schnitzel costs 18,90€ for a large portion and 15,90€ for a small. Hidden in a dark corner of Friedrichshain, the district with the lowest number of great restaurants per capita (source: myself), in a restaurant with a slightly strange and futuristic theme where every detail is drenched in white, you will find: THE BEST SCHNITZEL IN BERLIN! Yes, I might not share the interior design taste of the Schneeweiß crew, but one thing is sure: Their Wiener Schnitzel is insanely good. Beneath the perfectly crispy crust you will find a veal escalope that’s been hammered to a perfectly even 5mm thickness and cooked in butter to golden perfection. The Schnitzel at Schneeweiß has it all, it’s crunchy but still juicy and the crust sticks perfectly to the meat, even when you start cutting and eating it. Funny fact is that in addition to the design I also don’t enjoy the rest of the food at Schneeweiß, the Schnitzel however is a thing of true greatness and the material of wet Schnitzel dreams. Amen. P.S. The restaurant at the Funkhaus is basically a second Schneeweiß restaurant with an equally great Schnitzel.